The Syslink Xandria SAP system performance monitoring and management solution provides 24/7 real-time monitoring as well as automation of daily checks for all SAP environments whether they be on-premise, cloud or HANA based. Work for Xandria by syslink? Learning about Xandria by syslink? "Amazing product for SAP Basis teams"
This product is just awesome, in the first day we used the product we found things in production we didn't even know about. So right there alone it already returned the investment. Prior to Xandria we were using a combination of Solman and how grown product. We were considering upgrade the Solution Manager 7.2 but then we saw a demo of this product and we were blown. The POC showed us so fast the value that we didn't even complete the POC time and bought the product. 2. We get complete landscape visibility - we saw really easily that the dev wasn't running the same Kernel version as production. "Great SAP monitoring tool. Way better than Solution Manager"
Xandria provides me and my team with the best SAP technical monitoring available in the market. It provides clear indications of what is working or not at any given moment. We have a complex SAP system combining different systems, HANA as well as 3rd party applications. Doing the daily checks manually was a huge hassle and reporting was a pain. With Xandria, all the daily checks have been automated as well as the reports (which both my management and our auditors love), letting us focus on troubleshooting rather than wasting time on the stuff that is working well. I'm actually really happy with it. Still looking for things I really don't like. Like every solution there are small improvements I would love to see, but nothing major. Talk to them. They are extremely friendly and professional. You really feel that these are SAP Basis engineers and admins that built a tool that can make their life easier. The understand your pain and solve it in a very elegant way. We've save a lot of time automating the SAP daily checks. We've also reduced after-hours issues using their predictive analysis and forecasting. And lastly audits are going way faster using their configuration changes tracking. "The Real time easy Monitoring tool"
Documentation availibility is less which can helpt to improvise the issues facing during the support. Simply the best light waight less effots and best real time monitoring tool which all customer can use in the existing landscape with lots of fucntionality of email, SMS alerting on real time base with recommended resolutions with the alert. * We monitor all Xandria by syslink reviews to prevent fraudulent reviews and keep review quality high. We do not post reviews by company employees or direct competitors. Validated reviews require the user to submit a screenshot of the product containing their user ID, in order to verify a user is an actual user of the product. Hi there! 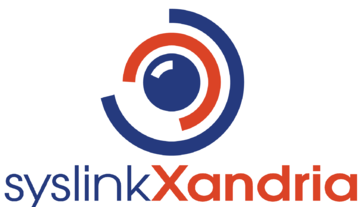 Are you looking to implement a solution like Xandria by syslink?